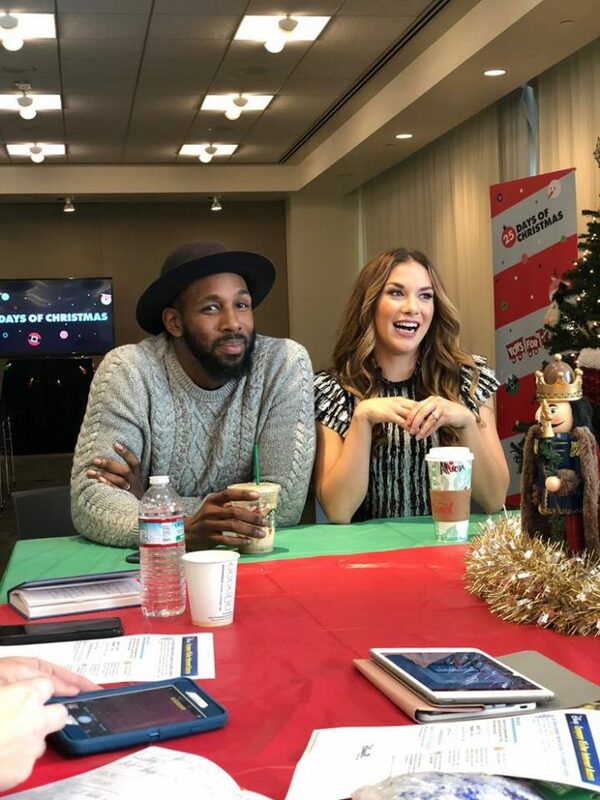 Our Friday morning in Los Angeles started with Disney Fairy Tale Weddings and Holiday Traditions breakfast at ABC Studios with Stephen “tWitch” Boss and Allison Holker. They are a real-life married couple who co-host Freeform’s 25 Days of Christmas “Pop Up Santa” and “Disney’s Fairy Tale Weddings.” Chatting and mingling with this AMAZING couple during my time in Los Angeles for a festive morning was a magical experience. 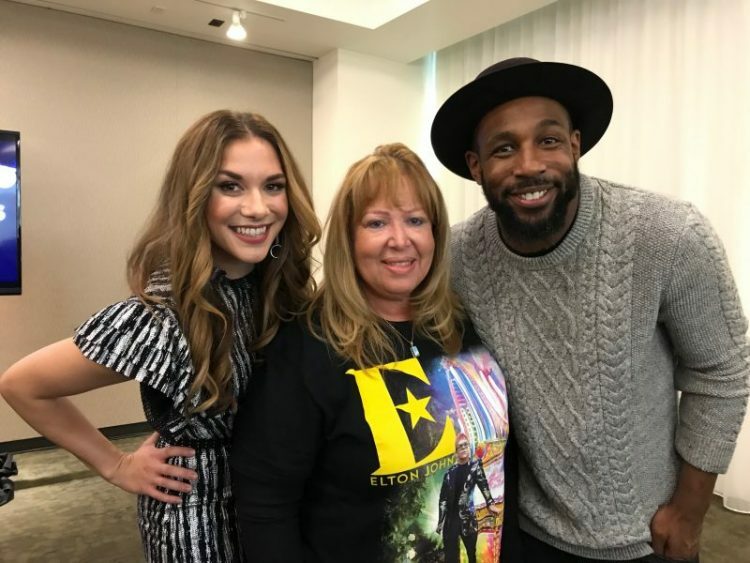 It was so much fun to chat with both of them as well as make Christmas ornaments with both Stephen “tWitch” Boss and Allison Holker. It was such a fun experience hanging out tWitch and Allison, such an inspiring couple and we learned so much about their own family traditions while we learned about Disney Fairy Tale Weddings. tWitch and Allison told us that they started a tradition of getting their photo taken with Santa every year. It’s a huge tradition for them where they get all dressed up; and they plan to continue this tradition even after their children are grown and married! They said one year their son Maddox was surprised to have The Grinch all lit up for one of their family Christmas photos. This year they’ve decided to have the adults dress up as a gingerbread man and snowman while their children are dressed up as reindeer and Santa. Another family tradition that they shared with us is that they enjoy making their own ugly sweaters every year. “The uglier, the better!” – tWitch said. Love it! In a tear-jerking sneak peek from “Pop Up Santa,” the Brantley Family of Clarksville, Tennessee, is about to experience some holiday magic. After a devastating fire in December 2017, Army veteran Stephen Brantley, his wife Iliana and their four children lost their home and all of their possessions, including photographs and Stephen’s war medals. 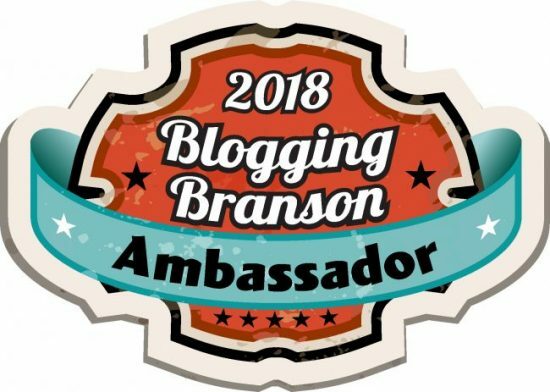 With the help of former NFL athlete DeMarco Murray and his wife, actress Heidi Mueller, the Brantleys are in for an incredible surprise that will change their lives forever. Allison expressed how this Pop Up Santa really hit home for her this year as her brother is from an Army base out in California in Ft. Irwin. She has witnessed firsthand what Army families go through and all that they sacrifice to be part of the military so her heart went out this family that was helped with Pop Up Santa. Pop Up Santa aired on December 3rd but they will be replaying the holiday special throughout the 25 Days of Christmas. 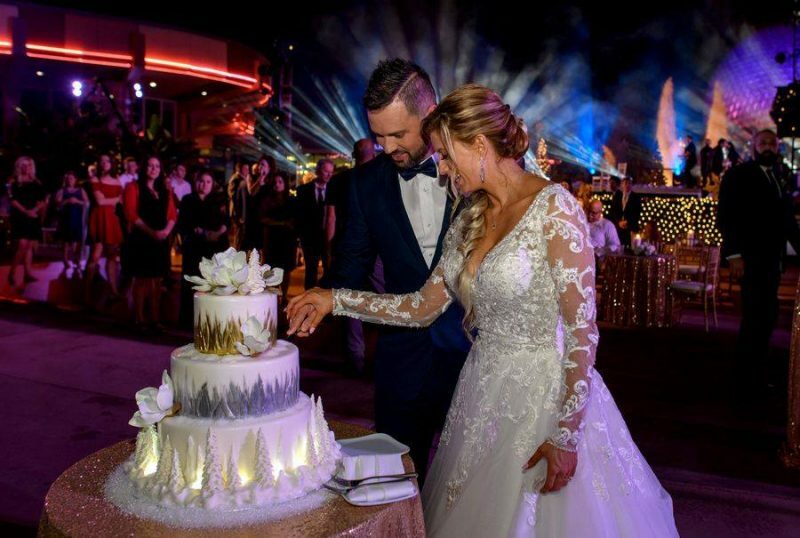 Disney Fairytale Weddings: Holiday Magic airs December 8th at 8 p.m. EST. This holiday season, Disney|ABC Television are teaming up with Disney store, ShopDisney.com, and Toys for Tots. Fans and families can celebrate 25 Days of Christmas by dropping off a new, unwrapped toy at a U.S. Disney store or on shopDisney.com until December 15th and Disney store will contribute $5 per toy to Toys for Tots, up to $1 Million! 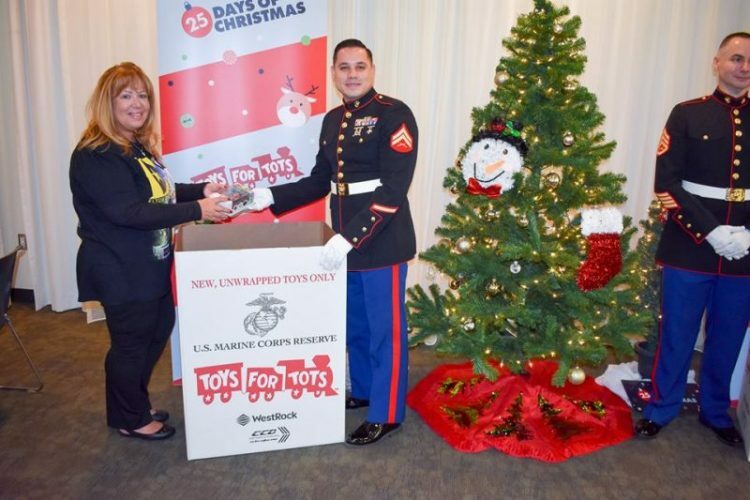 For more information on Toys for Tots, go to ToysForTots.org. To watch your favorite holiday content go to 25DaysOfChristmas.com. Post a selfie with your toy on social media using the hashtag #25DaysOfChristmas. Just imagine a wedding at Disney? 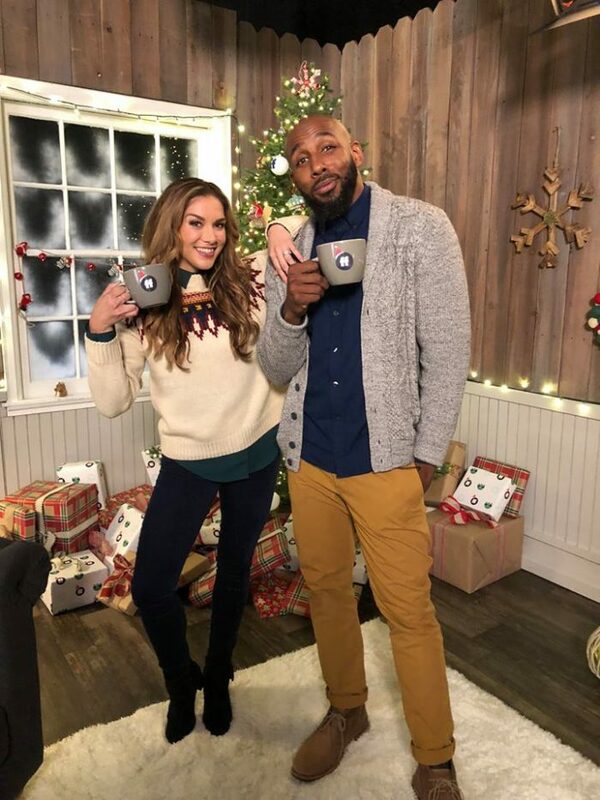 “Disney Fairy Tale Weddings: Holiday Magic” is back with an all-new installment once again hosted by Stephen “tWitch” Boss and Allison Holker. 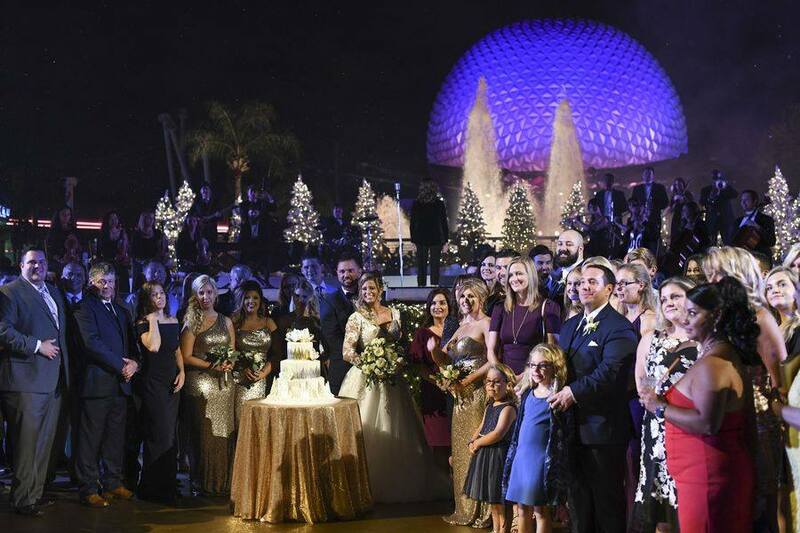 This year’s stunning and romantic weddings at Walt Disney World Resort will feature a spectacular “Mary Poppins Returns” theme and a special performance by country music superstar Martina McBride. Disney Fairy Tale Weddings premieres on Saturday, Dec. 8, at 8:00-9:00 p.m. EST/PST. The special is produced by Roberts Media and T Group Productions. Executive producers include Ann Lewis Roberts for Roberts Media, Simon Lythgoe of Legacy Productions and Jenny Daly for T Group. Stay connected with Allison Holker on Twitter @AllisonHolker and on Instagram: @AllisonHolker and with Stephen “tWitch” Boss on Twitter: @officialtWitch and on Instagram: @sir_twitch_alot!